Darts? Too dangerous. Billiards? Too difficult. 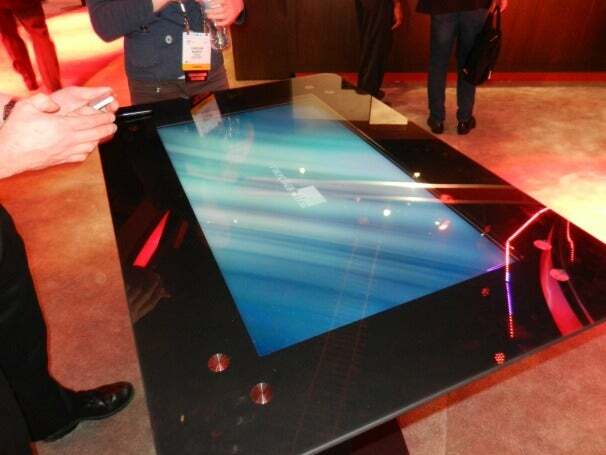 If Alcatel-Lucent's GameTime concept catches on, though, your next bar game might well be happening on a giant touchscreen table--and your smartphone or tablet. The GameTime is basically a large touchscreen Windows 7 PC, except the screen is facing upward--similar to the old Ms. Pac-Man table-style arcade games. It's a concept meant for the "digital signage" market--which typically includes large flat-panel displays and other forms of high-tech public advertising. The idea is that people can engage with it by downloading an app to their mobile device which will let them interact with the GameTime in different ways--showing pictures or video from their smartphone to the table, for example. 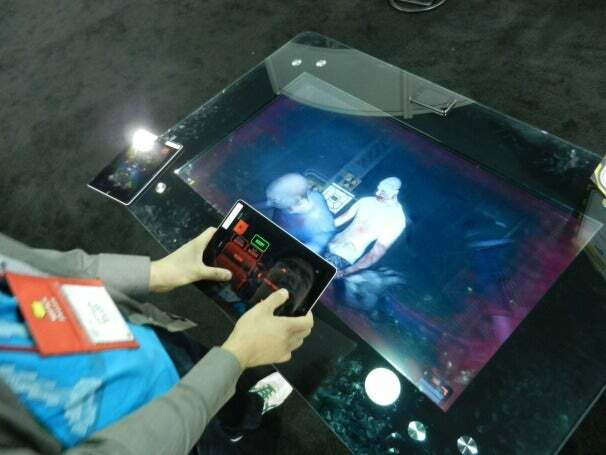 Game developer Brass Monkey partnered with Alcatel-Lucent to demonstrate their games and game platform running on the GameTime using your smartphone or tablet as the controller, complete with support for your accelerometer, camera, and microphone. Brass Monkey had several playable games on hand, including an on-rails zombie first-person shooter that used the tablet's touchscreen for buttons, a jet ski racing game which used the accelerometer to turn, a mini-golf game where the player has to hold and swing their device like an actual golf putter, and a 3D Pong game which used credits bought via in-app purchase to play the game--just like a traditional arcade game. If you're playing a multiplayer game, the screen will just divide into a split-screen layout to accommodate more players.